When we searching on the web we find many interesting and important web pages, we cannot remember all those, so we book mark those pages to check for the later visit. 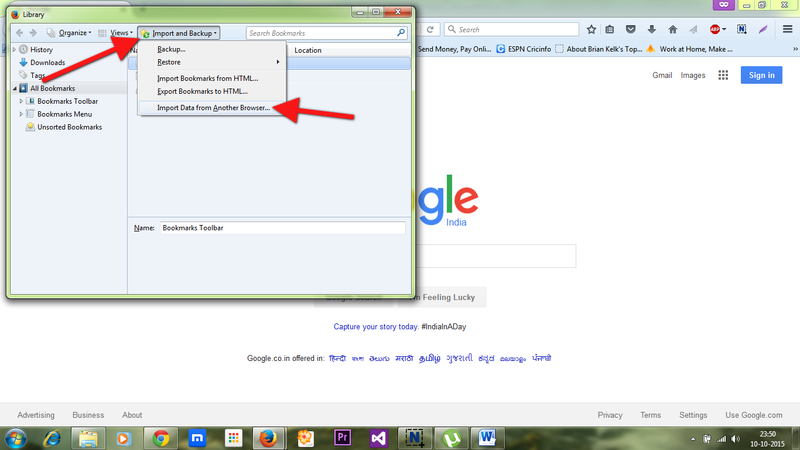 Bookmarks are very important for the net users, who work regularly on the internet. 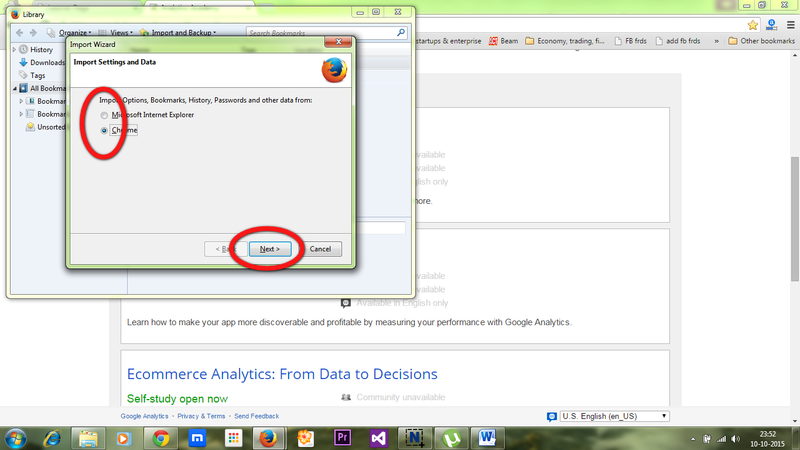 All modern web browsers include bookmark features. Do not worry when we use another browser not regular browser which has all the bookmarks, we can import book marks. 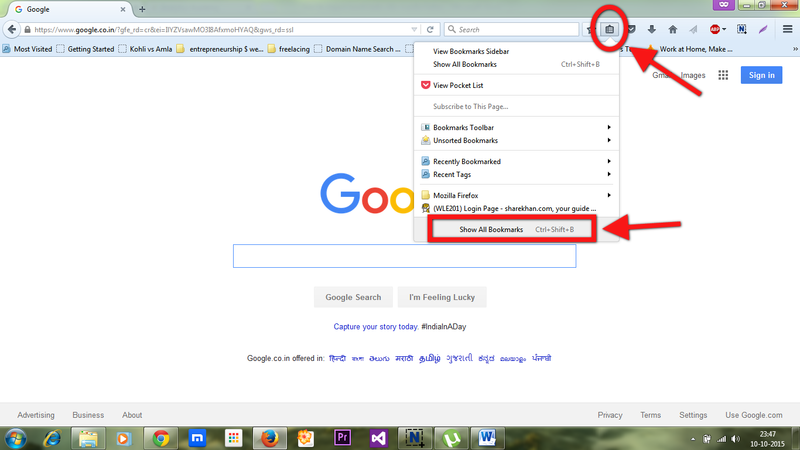 Step1: open your Mozilla browser, in the top menu bar you can find the book marks menu click on that book marks menu, now you can find show all bookmarks (check below picture1). 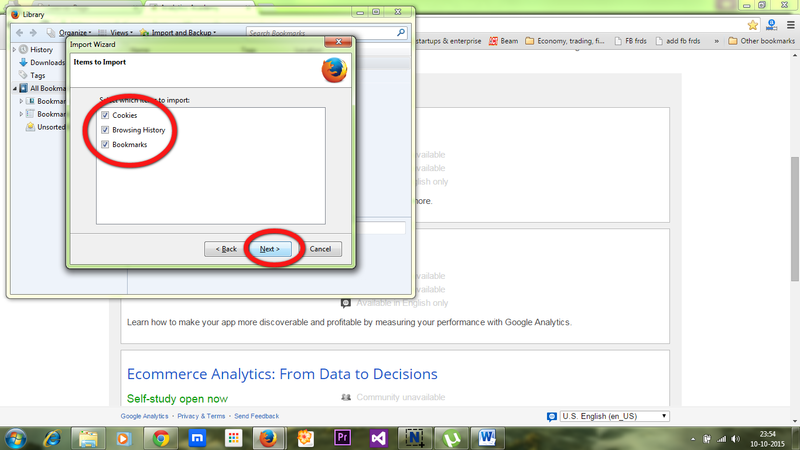 Now check your Mozilla browser bookmarks menu, you can find all the imported bookmarks.